During a family break in Fife staying in Strathkinness which is a small village on a hill near St Andrews, I was lucky enough to cycle the Ports of Tay Cycle Route. 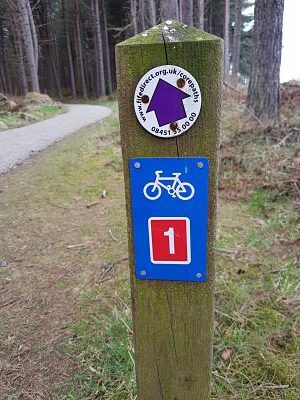 The Ports of Tay Cycle Route took me from St Andrews through Leuchars and on to Tentsmuir Forest before tackling the Tay Bridge and on to the city of Dundee. Setting off from the hilltop village of Strathkinness I joined the NCN Route 1 and heading downhill towards Guardbridge. This is when the route heads through the village and on to the military base at Leuchars. Skirting the old airfield the rout gets a little bit quieter and snakes its way to the picturesque Tentsmuir Forest. Heading in to the forest on a tarmac road you eventually get to the car park where there is a children’s playground, toilets and even a place to get a bite to eat. Unfortunately the small coffee stop was closed on the day I passed through. 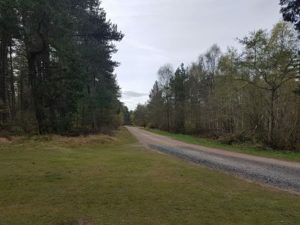 As you travel onward through the forest, the road turns from tarmac in to a gravel forest road which is not suitable for road bikes. Fortunately I had hired a hybrid bike which was more than suited to the terrain. The road skirts along the coast until you reach a clearing with a number of picnic benches. There is also an old building which after closer inspection it turned out to be an old fish store. Heading onwards through the forest the road turns left and heads along the Tay estuary and on to Tayport. Just before the route reaches Tayport I cycles past some old remnants of World War 2. An old pillbox is located just off the beach and is another interesting thing to view. Tayport is an interesting place with a number of boats on display and some public toilets close to the harbour which was a welcome stop. From Tayport the Ports of Tay Cycle Route heads West along the Tay and this is where I you will get your first glimpse of the Tay Bridge. The route across the Tay Bridge was the main reason for my trip. Cycling up to the bridge the cycle lane heads under one of the carriageways and up in to the middle of the bridge. 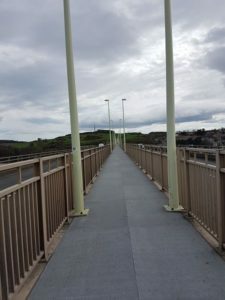 The cycle path and walkway is situated in the centre of the bridge and raised up above the road. Although the route north across the bridge is downhill, the strong headwind made progress slow. At the north end the lift takes you down on to the riverside and in to Dundee. NCN1 then heads east again along the river and up to the Port of Dundee where the route then takes an unusual turn. A locked gate greets you and in order to pass through the Port you must ring the buzzer and the security guard gives you access to a cycle lane along the perimeter fence. From the port National Cycle Route 1 carries on along the river to the beautiful Broughty Castle and Broughty Ferry. After a few hours in the saddle there is a treat for cyclist just a short distance from the route. Visocch’s is a cafe that sells the most wonderful ice cream and tasty coffee. If you are looking to refuel then this is the place to visit. On this ride I cycled a few more miles to Monifieth where I reached my goal of 25 miles, I decided on 25 because I knew I had to cycle the 25 miles back to Strathkinness. I followed the same route back to the holiday cottage taking in the Tay Bridge and Tentsmuir Forest. The uphill ride across the bridge was a breeze with a fantastic tailwind. In all this was a great ride along the Ports of Tay Cycle Route exploring a little bit of Fife and Dundee. NCN1 stretches the length of the UK and I only cycled a small part. One day I hope to do more. I cycled the route on a Giant Hybrid bike that I hired from Cycle Path in St Andrews. If you are visiting the area and want to hire a bike or you may be passing through and need a repair then Cycle Path is the bike shop to visit. The owner Jim was a pleasure to deal with and I would certainly recommend him and his bike shop in St Andrews.